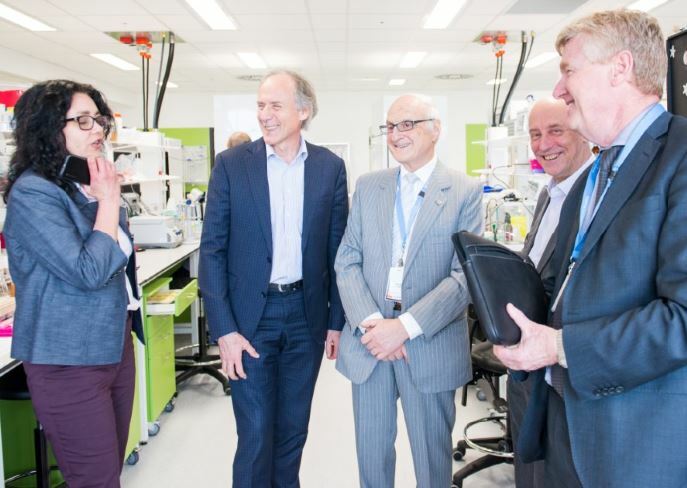 Australia's Chief Scientist Dr Alan Finkel recently toured the Monash CCS diabetes laboratory. Pictured L-R: Prof Jenny Wilkinson-Berka, Dr Alan Finkel, Prof Paul Zimmet, Prof Mark Cooper (Head of the Department of Diabetes) and Prof Stephen Jane (Head of Central Clinical School (CCS)). how an enzyme called PRMT1 keeps B cells going once activated. Monash University researchers have revealed the role played by an enzyme that is pivotal to the process of clearing infection in the body. Moreover, they suggest that the enzyme may be a potential target for drug development to block the types of inappropriate or excessive cell behaviour that occur in cancer and autoimmunity. The production of antibodies – proteins secreted into our blood that neutralise invaders such as bacteria and viruses – is one of the immune system’s most important ways of protecting us from infections. But the immune cells that ultimately make or secrete the antibody – a type of white blood cell called B-cells or B-lymphocytes – need to change significantly to do this. They have to be activated, proliferate and change their function, all of which requires significant remodeling of the machinery of the cell. 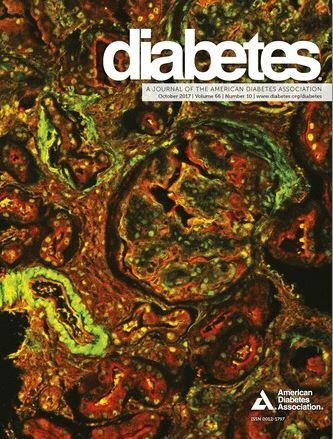 On the cover: Immunofluorescence staining of Nox5 (red) and SM22-α (green) on human kidney biopsy obtained from an individual with diabetes showing colocalization of Nox5 (yellow) in the vascular smooth muscle cells including glomerular mesangial cells (magnification ×20). 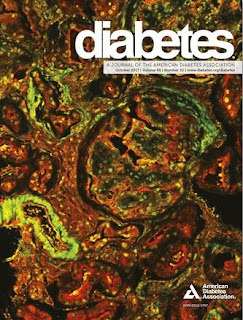 Image courtesy of Jay C. Jha, whose article, “NADPH Oxidase Nox5 Accelerates Renal Injury in Diabetic Nephropathy,” appears in this issue of Diabetes (p. 2691). 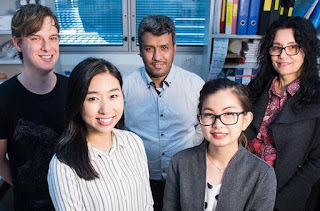 Researchers from Monash University’s new Department of Diabetes have shed light on a protein that may play an important role in promoting diabetic kidney disease. In a study published in the journal ‘Diabetes’ this month, Professor Karin Jandeleit-Dahm and her team found that Nox5, a pro-oxidant enzyme, was highly upregulated in human kidneys affected by diabetes. 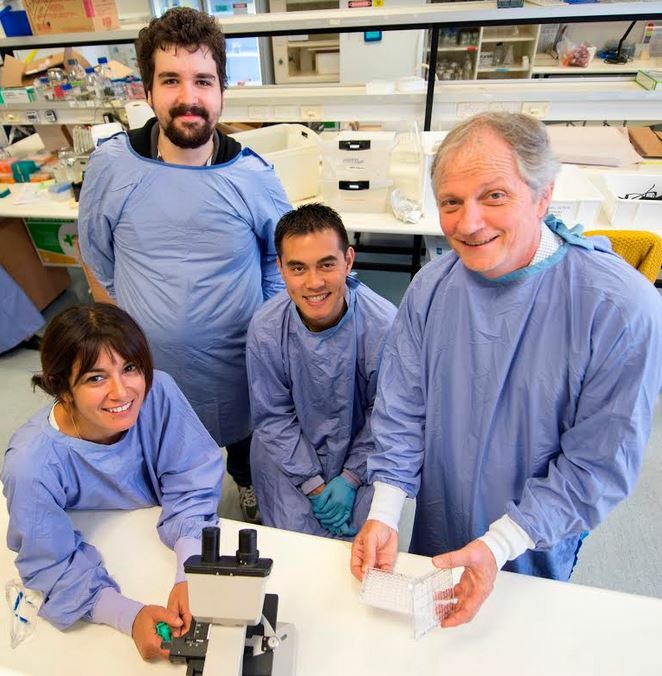 The finding builds on work by the researchers into the NOX family (NADPH oxidases) and their role in diabetic complications, which has led to a national clinical trial of a drug to potentially treat type 1 diabetes. The Nox inhibitor, a compound produced by the biopharmaceutical company Genkyotex Inc, Switzerland, acts mainly on the Nox1 and Nox4 isoforms of NADPH-oxidase. Saeed Alrashdi, Dr Devy Deliyanti, Professor Jenny Wilkinson-Berka. Jack, Devy and Jenny are authors on the paper. 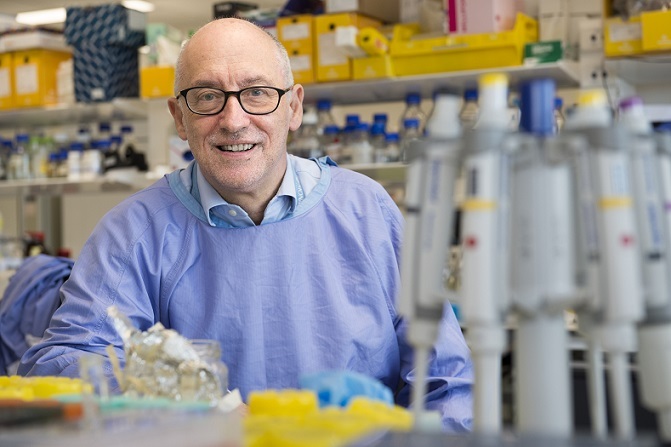 The scientists, led by Professor Jennifer Wilkinson-Berka in the Central Clinical School’s new Department of Diabetes, were investigating improved ways of treating retinopathy of prematurity (ROP), which occurs in very small, prematurely born babies. 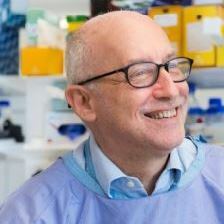 The CCS Public Lecture on diabetes and its complications, presented by Professor Mark Cooper AO, is coming up shortly on Thursday October 19. 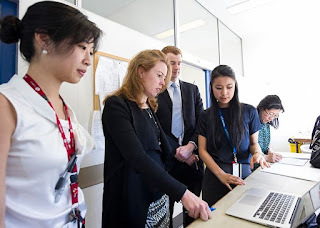 Congratulations to A/Prof Kate Hoy on Telstra win! 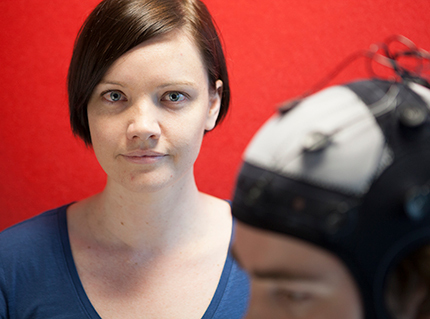 Congratulations to neuropsychologist and NHMRC Fellow, Associate Professor Kate Hoy, who has won in the Public Sector and Academia category at the 2017 Telstra Victorian Business Women’s Awards! Kate was the only Monash finalist in the Victorian arm of this year’s awards, and was one of four finalists in her category. 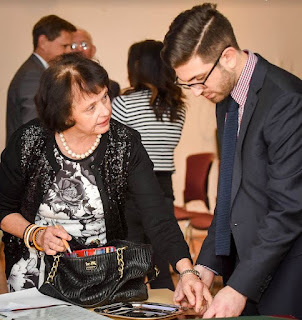 She is Deputy Director of Therapeutic Brain Stimulation and heads the Cognitive Therapeutics Research Program at Monash Alfred Psychiatry Research centre. See full story in Monash's 'Insider'. Early Career Researchers (ECRs) and ECR Fellows from the Faculty of Medicine, Nursing and Health Sciences have been honoured with the Faculty’s annual ECR Publication Prizes. Congratulations to Dr Eric Chow, Melbourne Sexual Health Clinic, Central Clinical School, who has won the Early Career Researcher Fellows Publication Prize for Non-Laboratory Based Research, for his article, "Quadrivalent vaccine-targeted human papillomavirus genotypes in human heterosexual men after the Australian female human papillomavirus vaccination program: a retrospective observational study" Lancet Infect Dis. 2017 Jan;17(1):68-77. doi: 10.1016/S1473-3099(16)30116-5. Epub 2016 Jun 6. The Monash Bioinformatics Platform (MBP) have a team member based within the Central Clinical School, Dr Nick Wong. The MBP is a multi-disciplinary team that exists to facilitate researchers in all things bioinformatics. 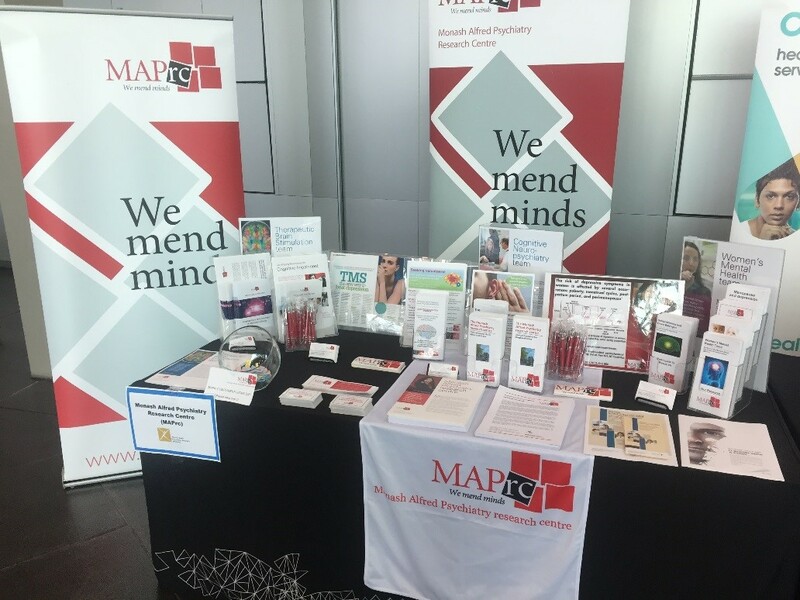 The Monash Alfred Psychiatry research centre (MAPrc) is hosting a stand for the Mental Health Week Launch Event on Monday 9 October from 3.00-7.30pm. The event opens on Monday 9 October at 3 pm at the Deakin Edge theatre, Federation Square. 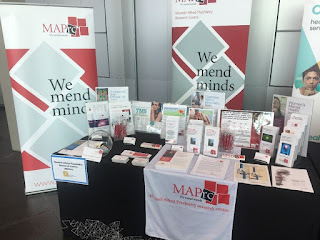 Please drop by and say hello to the MAPrc team! Would you like to donate blood for cardiovascular research? 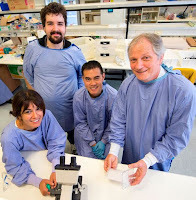 At the Australian Centre for Blood Diseases, we are studying the processes involved in the formation of blood clots. While blood clots normally form to prevent excessive bleeding following an injury, the same processes are involved in the formation of harmful clots that may block blood vessels, causing heart attacks or strokes. A better understanding of how clots form will not only increase our knowledge of blood clot formation in healthy individuals and individuals with cardiovascular disease, but may lead to new preventative and therapeutic drugs for heart attacks and strokes. We need human blood on a daily basis to ensure such vital research continues. Can you help? When it comes to shooting, Gavin Horrigan doesn't subscribe to 'near enough is good enough' , or 'hit and miss' for that matter. 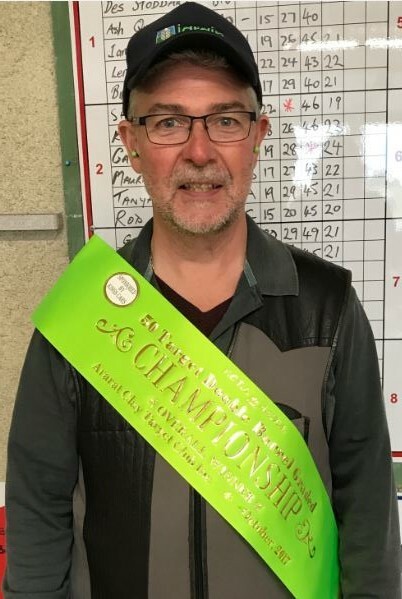 Gavin competed very successfully at the Ararat Clay Target Club’s most recent shoot on Saturday 7 October.